We count on Visics to lead the technology pack and help us to stay ahead of the curve. 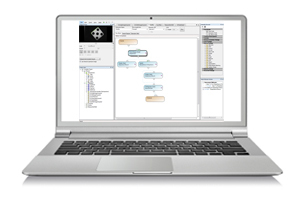 By dragging and dropping hardware resources, together with analysis, decision, and communication operators into flow graphs, you will develop efficient machine vision applications that are guaranteed to be thread-safe and will operate deterministically, regardless of the number of devices and processors utilized in your system. And you will do this without writing a line of code. Click an area on the screenshot to enlarge it.